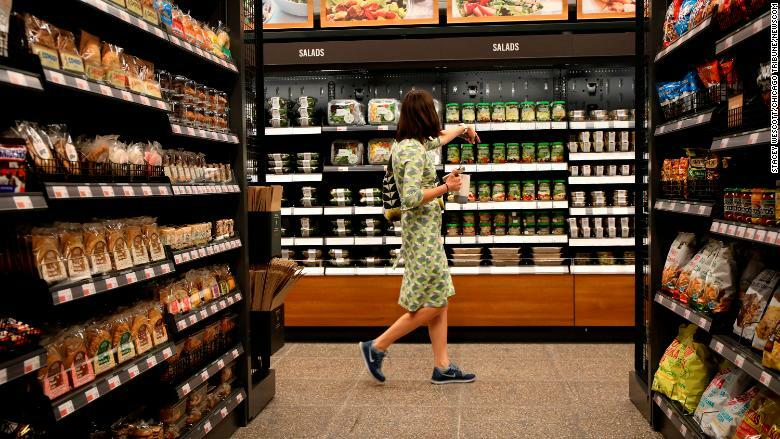 Amazon's latest retail concept looks a lot like your online shopping cart brought to life. 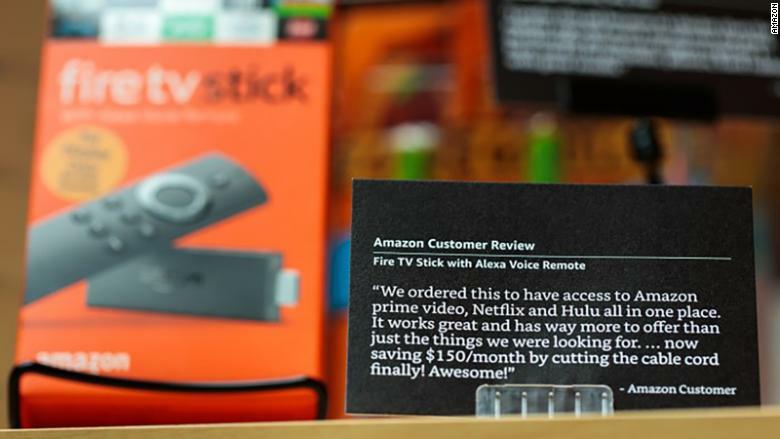 It's a physical store that offers only products with high customer ratings, including non-Amazon-branded merchandise. Items must be a top seller, have a four-star rating or above, or be new and trending on Amazon.com. The store -- called Amazon 4-Star -- opened in New York's trendy SoHo neighborhood on Thursday, and Amazon says it's permanent. Inside the 4,000-square-foot space, a Most-Wished-For section has products that people often put on their Amazon wish lists, like baby blue Fujifilm instant cameras. A section called Trending Around NYC showcases products popular in the city. The assortment in the latter category was all over the map, featuring the book "Crazy Rich Asians," bottles of Gorilla Super Glue and a cast-iron skillet. Amazon's new 4-star store sells its top products. Digital price tags for each item change throughout the day based on the price on Amazon.com, which can fluctuate. Some items are cheaper if you have an Amazon Prime membership, which costs $119 per year and comes with perks like free two-day shipping. Of course, 4-Star features many of Amazon's own devices as well, such as its line of Echo smart speakers and Fire TV sticks. In getting people to try their Alexa-enabled products, Amazon is hoping to move the smart home category forward. Other categories sold in the store include toys, books, kitchen gadgets, games and consumer electronics. New items will be brought in every week, according to Amazon. The assortment was wide ranging, and customers CNN spoke with were largely impressed with the offerings. "There are a lot of interesting things in here. I'm excited by all of it," said Quinn Barker, a digital marketing professional who visited Amazon 4-Star on Thursday. "With the holidays coming up, this is kind of perfect and has unique presents." Margaret Crabtree, who also attended the opening, appreciated the "good mix" of products. "It's in a great location with lots of foot traffic," said Crabtree, who works in the retail industry. Customer reviews appear throughout the 4-star store. The average rating of all the products in Amazon 4-Star on Thursday was 4.4 stars, and together, the in-store items had over 1.8 million five-star customer reviews. 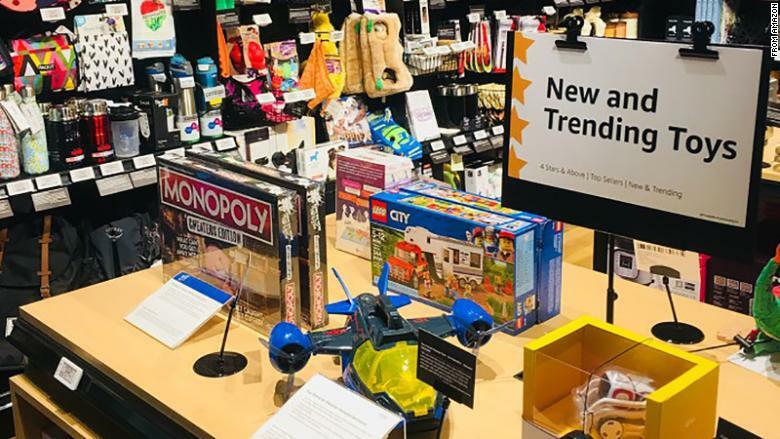 The new store highlights Amazon's increased push into brick-and-mortar stores, where most of retail spending still happens, according to eMarketer. Earlier this month, Amazon revealed it would expand its cashier-free convenience stores to New York. Amazon Go doesn't have cashiers. And the company already has three Amazon Go stores open in Seattle, where its headquarters is located. 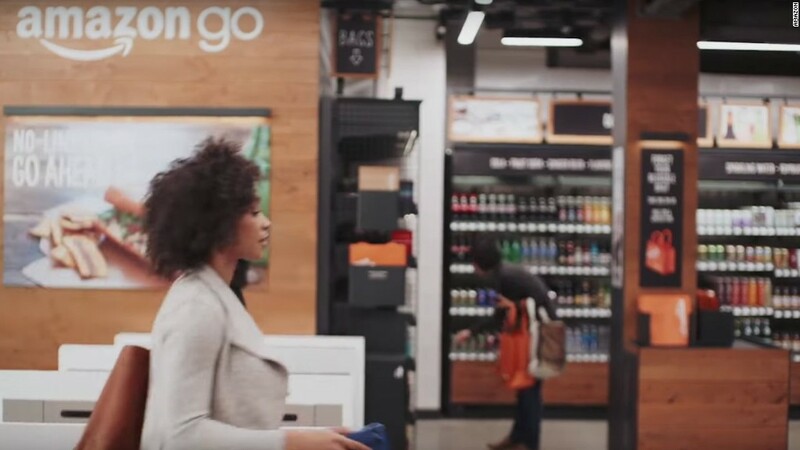 The first Go store opened in January, and Amazon plans to expand to San Francisco and Chicago. The Go store features no checkouts or lines. Amazon also currently has 18 brick-and-mortar bookstores around the US, according to its website.